OFNA 086 Tuned Pipe Giveaway! 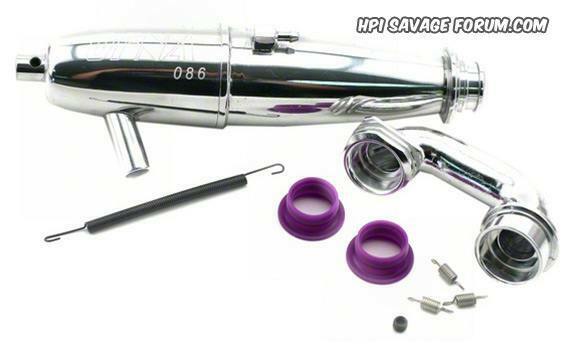 The OFNA 086 tuned pipe fits the HPI Savage trucks perfectly and will come with everything seen above, the top-end tuned pipe, header, gaskets, and needed springs. Great way to wake up that nitro engine over the stock HPI pipe! ONE Winner will be randomly picked on January 19th @ 1:00PM EST. Good luck! Yea, first post in the new contest. Hope I win it. Thanks for setting up another giveaway woodie! Nice. Thanks for doing this. Put me in coach. I'm in - love the board! I know I haven't been very active in a while but count me in. I haven't been around much lately, but what the heck, I'll give it a try. Thanks for the chance Woodie! 12:05 E.T. Time for another post so I can win this. Might as well drop another one in. Sweet another giveaway! How come I always see these giveaways 2 days after they start? I am in on a new day.